MALAYSIA, 20 DECEMBER 2017 – Canon today announced five new additions to the company's professional video camcorder and digital video camera lineup - the XF405 and XF400 which are lightweight, compact Full HD ENG (electronic news-gathering) video camera capable of shooting in 4K UHD 50P / 60P and FHD 100P / 120P, while the XA15 and XA11 is equipped with a 20x optical zoom lens which allow users to meet the shooting needs of a wide range of field applications with a single camcorder. The imaging experts also introduced the latest addition to its Cinema EOS System of professional cinematography products: the EOS C200 digital cinema camera, which make possible the on-camera recording of 4K video in MP4 and the new Cinema RAW Light¹. Mr. Andrew Koh, CEO & President of Canon Marketing (Malaysia) Sdn. Bhd., said that the new generation of Canon video camcorders and digital cinema camera are poised to become the camera of choice for many in the broadcast and filmmaking industry with the availability of new file formats, and improved operability which is often key for professionals. 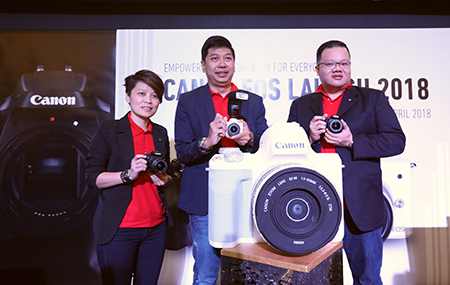 "This introduction of our extensive range of cameras is part of our effort in providing Malaysian professionals with innovative tools that are able to expand their creativity," said Koh. Jeffrey Kung, Assistant Director of Consumer Imaging & Information Division, Canon Marketing (Malaysia) Sdn. Bhd. added that based on Canon's success of its' professional range of video camcorders and feedback from the industry, Canon engineered its' latest additions to provide powerful and versatile solutions for the video production needs of all professionals. "The XF405 and XF400 4K UHD Video Camcorders are able to shoot 4K videos at 60 frames per second, making them powerful tools for news, sports, and documentary producers, while the XA11 and XA15 compact bodies are ideal for recordings of much action, when both speed and mobility are essential. The EOS C200 digital cinema camera is ideal for wide-ranging video productions such as movies, TV dramas and commercials, as well as news, documentaries and milestones events, for example, weddings." he said. The XF405 and XF400 are professional 4K video camcorders that meet a wide range of video capture needs, from interviews for news programming and documentaries to capturing important milestones in life such as weddings. Featuring a newly developed 15x optical zoom lens (35mm film equivalent: 25.5mm - 382.5mm) fit for 4K imaging, a 1.0-inch CMOS sensor and a Dual DIGIC DV 6 image-processing platform, the camcorders achieve high imaging quality 4K, imaging across the entire zoom range. The XF405 and XF400 support UHD 4K 50p/60p MP4 and XF-AVC1 format (150Mbps) video capture as well as continuous slow motion capture up to 100fps. Housed in compact and lightweight body designs measuring approximately 135mm (l) x 97mm (h) x 214mm (d) and weighing approximately 1,150g and 1,145g (XF405 and XF400, respectively), the camcorders' size can be leveraged for greater mobility when shooting on the move for news reporting and for fast paced event coverage. Equipped with a 20x optical zoom lens (35mm film equivalent: 26.8mm - 576mm), these models allow users to meet the shooting needs of a wide range of field applications with a single camcorder. Employing a Hi-UD lens², the cameras make possible vivid imaging with reduced chromatic aberration, ensuring imaging accuracy. During handheld shooting situations, the Dynamic Mode provides five-axis image stabilization - roll axis, horizontal roll, vertical roll, up-down and left-right - to ensure smooth video capture with minimal camera shake, even when shooting handheld while walking. Drawing from the technology found in EF lenses, the lens features an eight-blade circular aperture that enables video capture for beautiful and aesthetically pleasing bokeh. The camcorders feature a High-luminance Priority mode that achieves enhanced textural expression - accentuating textural characteristics such as the three-dimensionality of clouds and the translucency of water. High-luminance Priority mode works by automatically correcting camera brightness to capture images with enhanced mid to high-luminance gradation, color reproduction and sharpness, even for scenes with backlit subjects with muted dark areas. Both camcorders employ an adjustable approximately 1.56 million dot equivalent 0.24-inch viewfinder, which tilts upwards approximately up to 45° for effective low-angle shooting. The XA15 and XA11 are also equipped with a seesaw-type zoom key, which enables zoom operations that are ideal for professional and serious video users. A new addition to the Canon's Cinema EOS System of professional cinematography products, the new EOS C200 digital cinema camera features the newly-developed Dual DIGIC DV 6 image processing platform that makes possible the recording of 4K video¹ to CFast cards using the new Cinema RAW Light video format, which retains the same amount of information and degree of freedom when color grading a Cinema RAW while achieving between one-third and one-fifth the file size, in addition to 4K MP4-format video² recording to SD cards. Both of these 4K video formats are recorded on camera, thereby enabling more efficient 4K video content creation. The EOS C200 delivers a maximum 15-stop equivalent wide dynamic range for 4K HDR video recording in Cinema RAW Light format, and a maximum 13-stop equivalent in MP4 format that employs Canon's proprietary Log gammas - Canon Log 3 and Canon Log. Through the use of Canon's professional 4K displays, users can confirm ITU-R BT.2100 (PQ)² - compliant HDR video on location while shooting. From the first half of 2018, a free firmware update will be available, to include support for the XF-AVC (YCbCr 4:2:0 8bit) video format used by such digital cinema cameras as the EOS C700 /EOS C700 GS PL and EOS C300 Mark II. Coinciding with the release of the EOS C200, DaVinci Resolve,　Blackmagic Design's editing and grading software, will commence support for Cinema RAW Light. In addition, users can perform editing using Avid Technology, Inc.'s Media Composer with the official Canon plugin "Canon RAW Plugin for Avid Media Access 4" and processing using Canon's Cinema RAW Development 4. Support for Cinema RAW Light is also scheduled for EDIUS Pro, Grass Valley's editing software, during 2017. Additionally, a future version of Final Cut Pro X from Apple Inc. will support Canon Cinema RAW Light, using Canon RAW Plugin for Final Cut Pro X 5. The LM-V1 LCD monitor employs a 4-inch LCD panel for intuitive touch-screen operations, making possible the easy selection of focus points for convenient adjustment, even during single-operator shooting. The LA-V1 LCD attachment unit connects the camera body to the LM-V1 LCD monitor, enabling the monitor to be rotated freely during shooting while keeping it securely attached to the camera body. Compared with the EOS C300 Mark II, the distance between the grip and the optical axis has been reduced by approximately 9 mm, improving weight balance for handheld use. The grip can also be quickly attached and detached with ease. The HDU-2 handle unit can be attached to the camera body without tools, and features a newly-designed handle screw that enables fast and easy attachment. The CL-V2 clamp base enables the attachment of the optional high-image-quality EVF-V70 OLED electronic viewfinder (sold separately) to the EOS C200, which does not come packaged with the LM-V1 LCD monitor, to make possible comfortable EVF shooting. For more information, contact Canon Malaysia's sales representatives at cmm_cameraprodv@cmm.canon.com.my. 3 Additional companies not mentioned in this section are scheduled to add support for Cinema RAW Light at a later date. For a complete list of partner companies and products, please see the last page of this document. 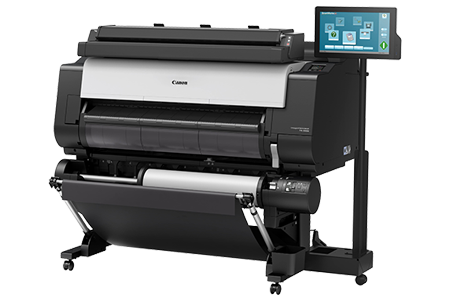 4 A Windows version and Mac version of this product will be available for download free of charge from the Canon website. 5 Release date TBD. Please check the official product website for updates. 1 As of May 31, 2017. The date of commencement of support for Cinema RAW Light by each company's products will vary depending on the company. 2 Avid and the Avid logo are trademarks or registered trademarks of Avid Technology, Inc. in the United States and other countries. 3 Final Cut Pro X is Apple Inc.'s proprietary video editing application.